Black+Decker 5-Cup Coffeemaker Just $9.99! Down From $23! You are here: Home / Great Deals / Amazon Deals / Black+Decker 5-Cup Coffeemaker Just $9.99! Down From $23! Don’t miss this great deal at Amazon! Get this Black+Decker 5-Cup Coffeemaker for just $9.99 down from $23.36 PLUS FREE shipping with Amazon Prime or for orders over $25! Delicious coffee has never been easier! 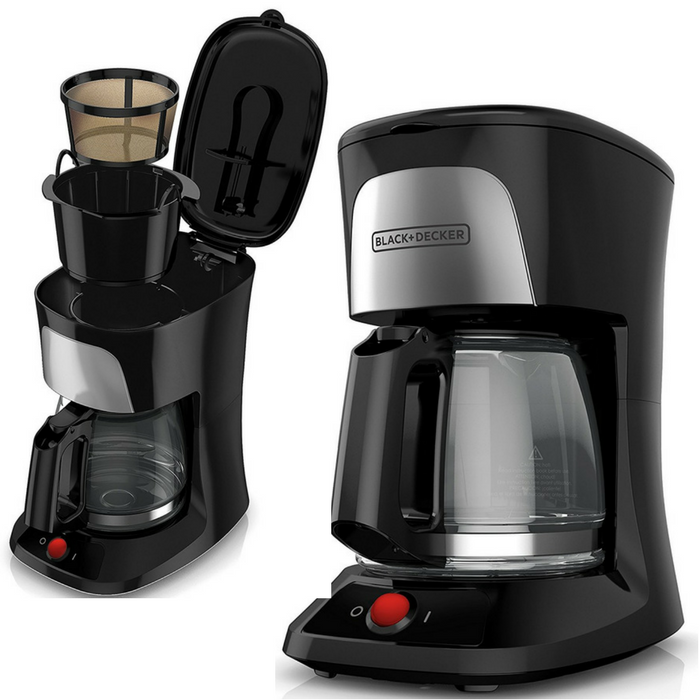 The BLACK+DECKER 5-Cup Coffeemaker gets going with the flip of a switch. It heats water to the optimal temperature for full flavor extraction as it brews into the reinforced 5-cup Duralife glass carafe. Coffee stays warm for up to an hour after brewing with the “keep hot” carafe plate. Plus, the removable, dishwasher-safe filter basket makes for simple cleanup. Cord Storage the cord wrap in the base of the unit helps prevent clutter on your countertop.